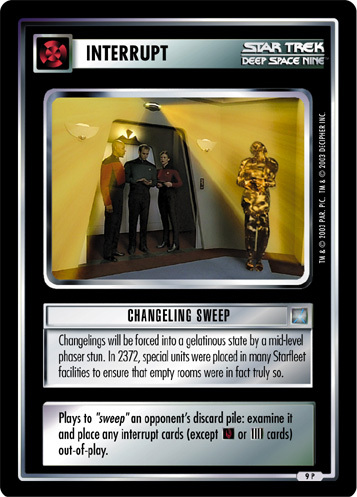 Changelings will be forced into a gelatinous state by a mid-level phaser stun. 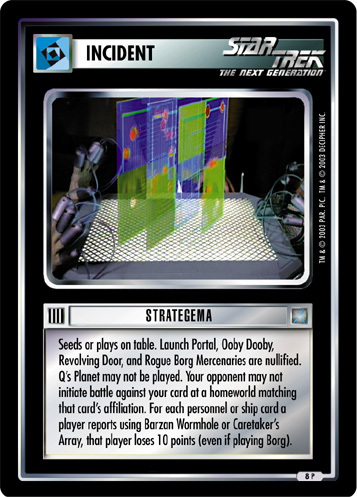 In 2372, special units were placed in many Starfleet facilities to ensure that empty rooms were in fact truly so. 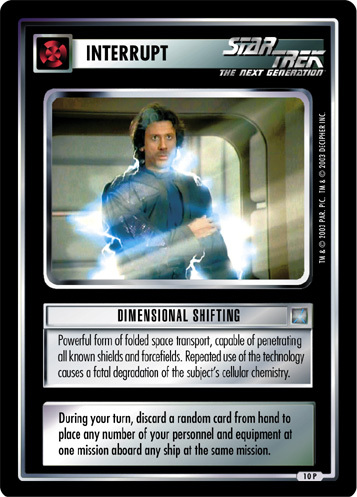 Plays to "sweep" an opponent's discard pile: examine it and place any interrupt cards (except or cards) out-of-play.